We are very excited as we get ready for not one Messy Church in April, but two! 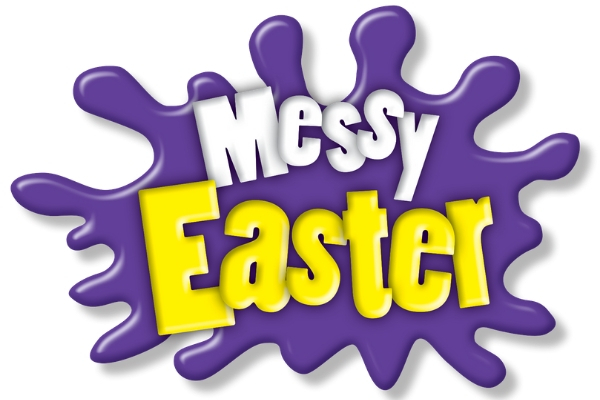 On Saturday 6th April we will gather as Messy Church together thinking about the events leading up to Easter, in our usual creative, messy and interactive way. Then on Saturday 20th April we will gather together again to celebrate Easter through many exciting games, activities, crafts, songs and stories. As always both will finish with a special home cooked meal for everyone to share together. Don’t miss out on a special Messy Church month at Sunnyside. Save the dates and plan to celebrate Easter with us. A warm welcome awaits you and don’t forget to invite your families and friends. Everyone of all ages welcome!